Before he went off to war in 1916, Harold Lackey gave Margaret Jenkins a flag — a pristine Union Jack to remember him by. A year later Lackey, the 28-year-old from Radville, Sask., was dead. Before he went off to war in 1916, Harold Lackey gave Margaret Jenkins a flag — a pristine Union Jack to remember him by. A year later Lackey, a 28-year-old from Radville, Sask., was dead. He was killed in action defending Vimy Ridge, a pivotal battleground in France that Canadian forces had captured two weeks earlier. When the war finally ended, Jenkins made a point of flying the flag during the first Armistice Day, on November 11, 1918. For more than 50 years, Jenkins carefully brought the flag out for special occasions, flying it on every Remembrance Day. Eventually, she donated it to the Western Development Museum (WDM). Now, as part of its commemoration of the 100th anniversary of the end of the First World War, the WDM in Saskatoon has put the flag on display. 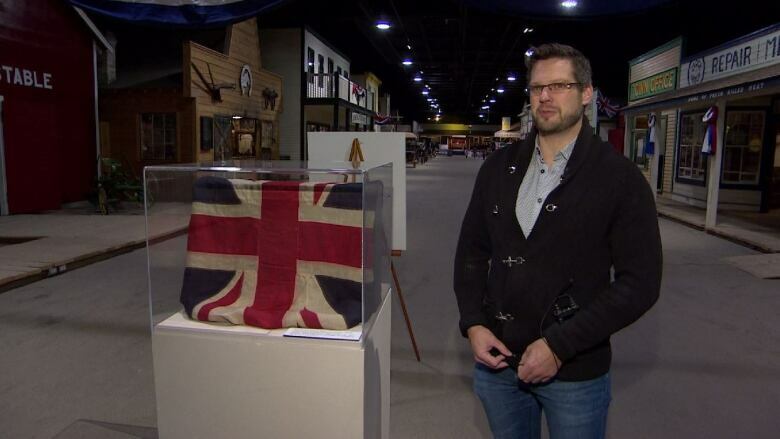 Conservator Mark Anderson said the flag is a powerful symbol of the importance of the war in the province's history. "So much had changed within those four years," he said. "For not just the province, but the world." 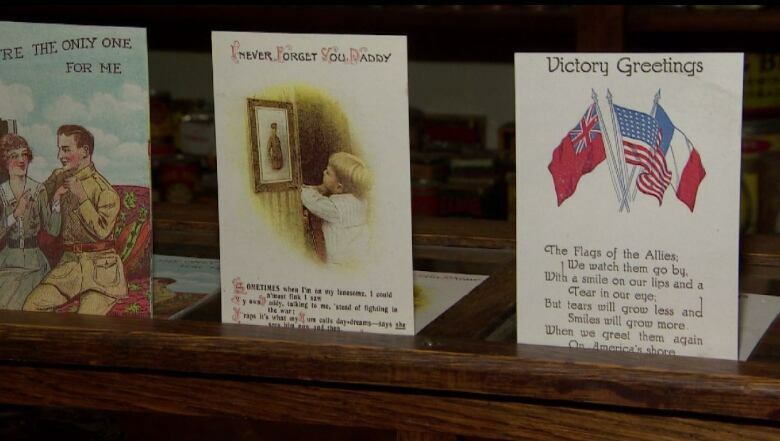 This year, the museum has tried to recreate what the first Armistice Day would have looked like in Saskatchewan. 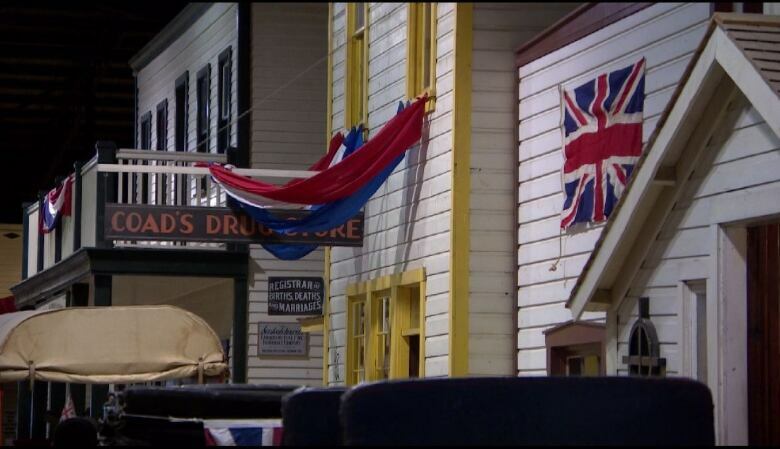 Stores and vehicles in the 1910 Boomtown exhibit are covered in bunting. Anderson said people flooded the streets on Armistice Day. "There was a run on stores that sold flags of any sort that were allies in the war," he said. "When you look at pictures from across Canada, they're just teeming with people." He said there was a palpable sense of relief from everyone who lived through the war. "A war that was supposed to last a few months ended up lasting several years and drew the entire world into the conflict," he said. "Many more people had died than they thought and was much more tragic than they believed." The exhibit will be on display at the WDM until November 18.